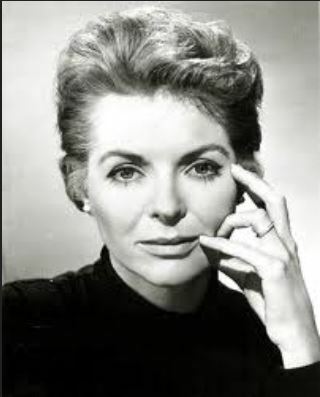 Dorothy McGuire, actress, Omaha, NE. Dorothy Hackett McGuire was born on June 14, 1916, in Omaha, Nebraska, the only child of Thomas and Isabelle (nÃ©e Trapp) McGuire.Â Â Her parents encouraged her early interest in acting and she made her debut as a teenager in “A Kiss for Cinderella” at the Omaha Community Playhouse which starred visiting alumni member Henry Fonda. She received her education at Omaha Junior College, Ladywood Convent in Indianapolis, and Pine Manor Junior College in Wellesley, Massachusetts before setting her sightsÂ on an acting career. She first appeared on Broadway as an understudy in â€œOur Town,â€ then went on to star in the comedy, â€œClaudia.â€Â On the strength of her performance, she landed the starring role in the film adaptation with legendary producer David O. Selznick.Â In 1947, she was nominated for an Academy Award for Gentleman’s Agreement, starring opposite Gregory Peck. McGuire’s health declined severely after she fell and broke her leg in 2001. She died of heart failure not long after in a Santa Monica hospital on September 13th at the age of 85.Â For her contributions to the motion picture industry, McGuire was awarded a star on the â€œHollywood Walk of Fameâ€ at 6933 Hollywood Blvd.